Clare addressed our monthly meeting on 17th July 2017 at Sidings. as well as cycle training, residential cycle parking and cycle hubs. The route on A105 is currently under construction. 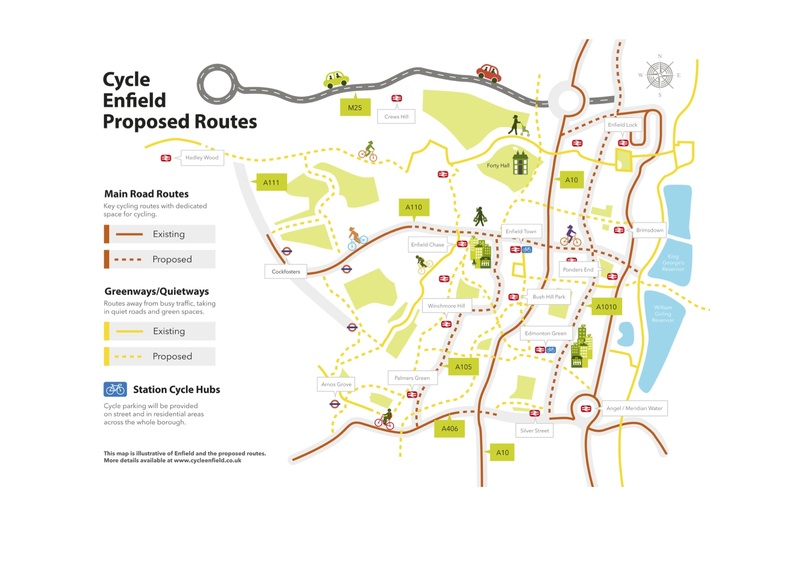 The approach is similar to that used in Seville: to maximise the number of kms of cycle route (over 20 km planned) with a view to getting lots of people cycling. Enfield’s modal share is currently 0.7%. Bush Hill junction, where the A105 route intersects a Quietway, with a simultaneous green for pedestrians and cycles without conflicts. Clare described the opposition that built up and how it was gradually overcome. We have some lessons to learn from her experiences. Clare commented that the Evening Standard had confused the effects of the road works with the scheme. Twenty campaigners attended the first meeting (Clare described them as ten cyclists and ten normal people). The conversations were about better streets and those people who don’t cycle made sure they looked at the bigger picture of better streets, not just from the cycling point of view. Their aims include filtered streets and safer school streets. They served a cooked breakfast for the people building the new route. They convinced officers that they should talk to the shopkeepers in Green Lanes. 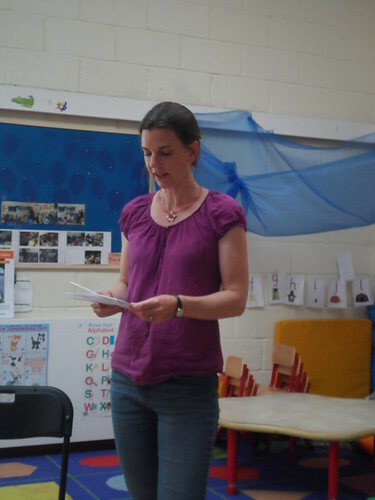 Clare has worked her way round the neighbourhood forums talking about low traffic neighbourhood. Enfield High Street – the original aim was that it should be car free, but they ended up with cycle lanes. Clare’s presentation was followed up by a lively discussion and then after warmly thanking Clare we broke into informal groups to continue while Clare relaxed with a glass of wine.